Forgeries:- They are around and those without experience can get caught. These images were sent to us from one of our readers. He purchased them and he wishes we will display them as a warning to others. I have been asked to do a page on them as others are busy on other projects. 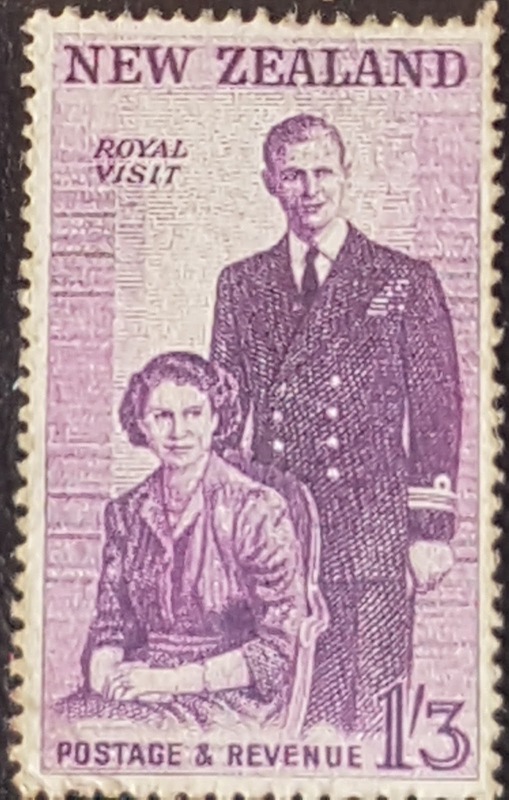 The story is that a comment was left on our page 1949 - 1952 Cancelled Royal Visits. 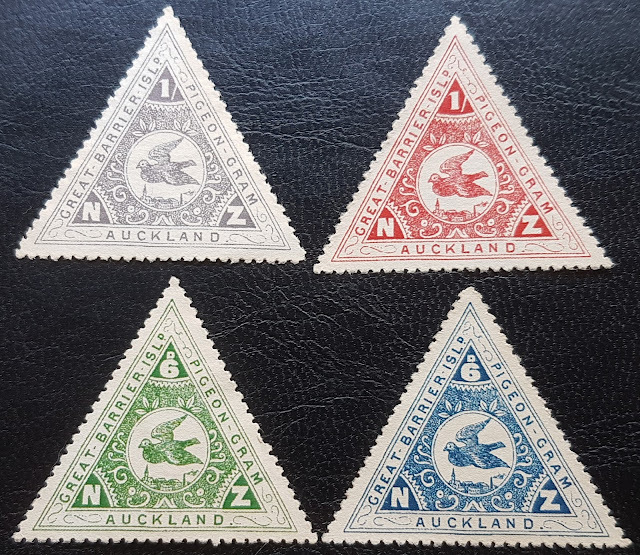 The reader said he had discovered these stamps in a collection book and he was trying to establish if they were real or forgeries. 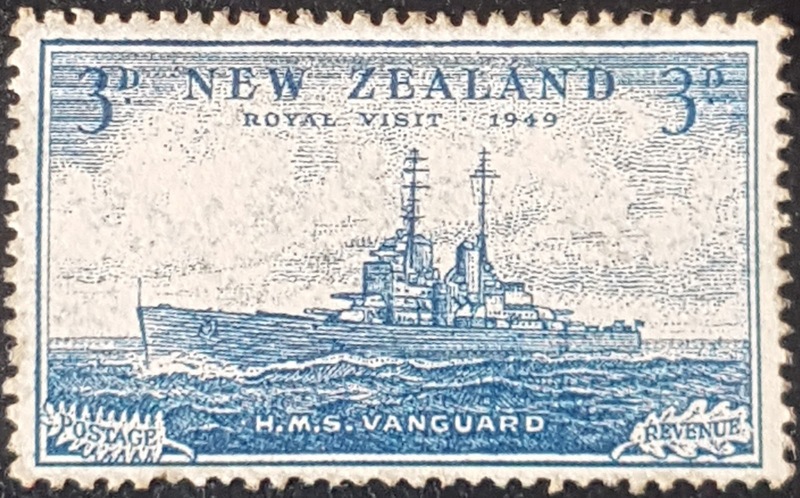 1949 3d - HMS Vanguard. Good looking stamp with mint gum on the back. 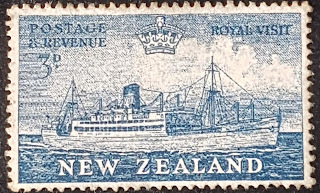 Now, this was one of a set of four designed and printed for the 1949 royal tour. 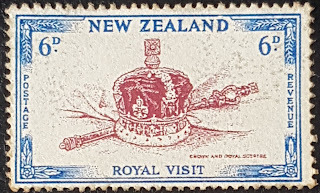 When the tour was cancelled due to the King's poor health all the stamps were said to have been destroyed. More recently 7 examples of the 3d HMS Vanguard have been found. They are supposed to have escaped being destroyed in the furnace. All are in poor condition, creases, lacking gum and two even have pieces cut off. Here we have one that appears to be a perfect mint example. 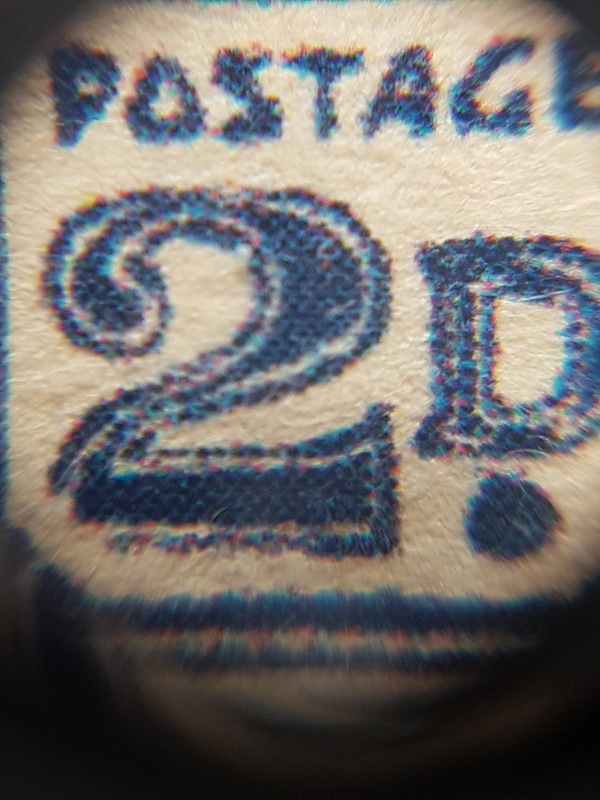 The photography is poor so it's hard to tell for sure just how good the stamp actually is. Allan and Mary, our two stamps 'experts' were concerned so they suggested that the stamp was shown to a real expert. 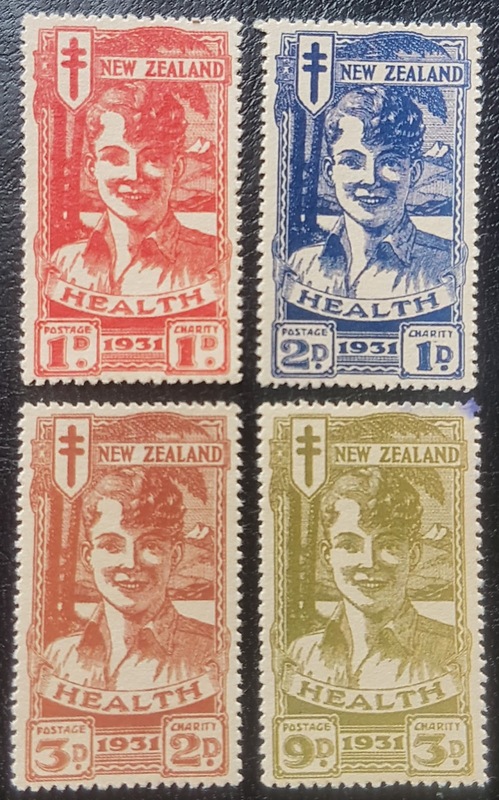 Then five more stamp images arrived, complete with images showing their backs in perfect condition. 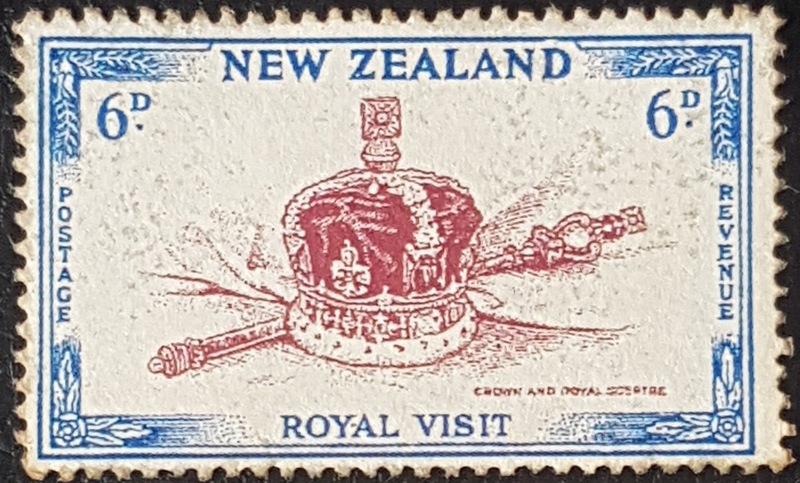 1949 6d - Royal Crown and Sceptre. 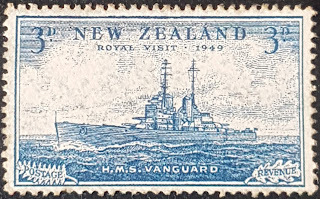 This stamp appears to come from the same issue as the HMS Vanguard above, the 1949 Royal Visit Issue but does not carry the date as did the original. As far as we know there are no known copies of this value but considering the missing date, this is a pretty poor copy, anyway. As you can see, this collection becomes more and more unbelievable as we move down the page. 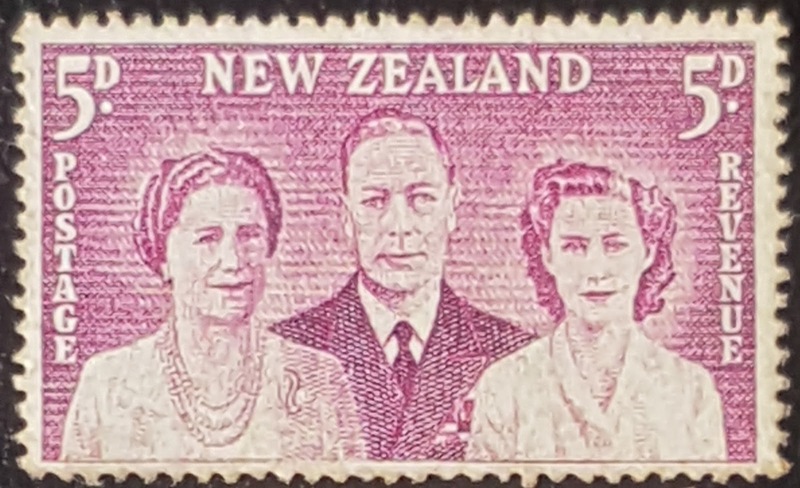 All four values of the 1952 Royal Visit issue were present in this collection. 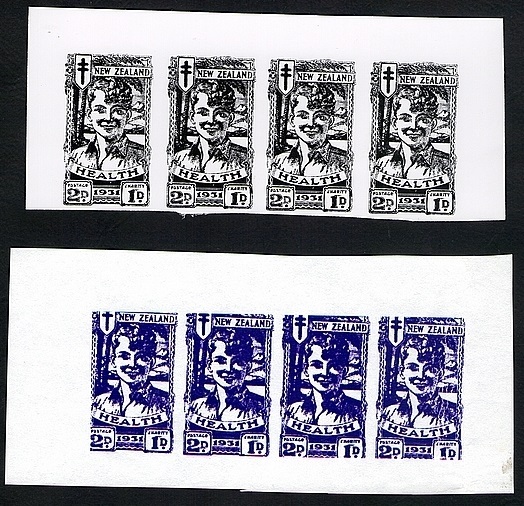 We believe that these stamps are only found as unperforated proofs. Here they were mint, gummed stamps. Again we have images showing perfect backs for each stamp. 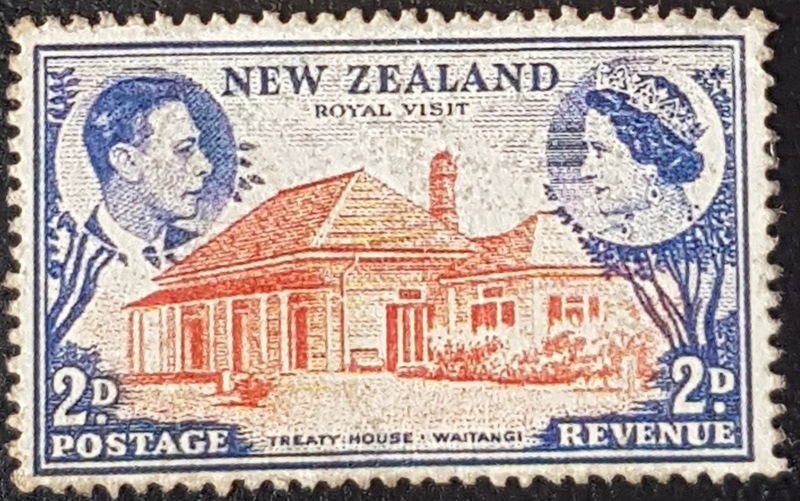 1952 2d - The Waitangi Treaty House. 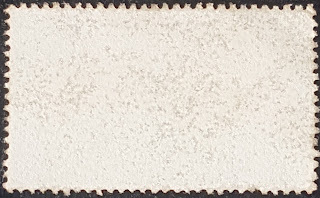 1952 3d - RMS Gothic. 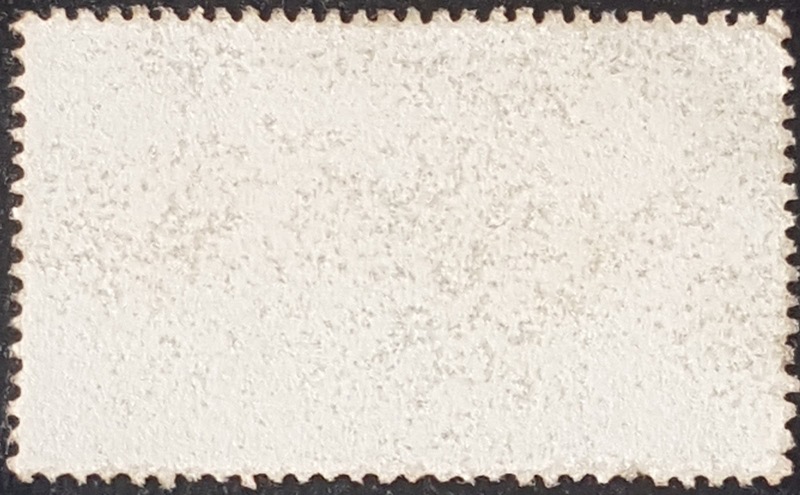 This must be the most common of all the 1952 stamps, but only as printer's proofs. By now we knew these were all wrong. We suggested this to our reader and he agreed that they all appeared to be forgeries. It was then that he sent us another set of images. When we saw these it was like Wow! 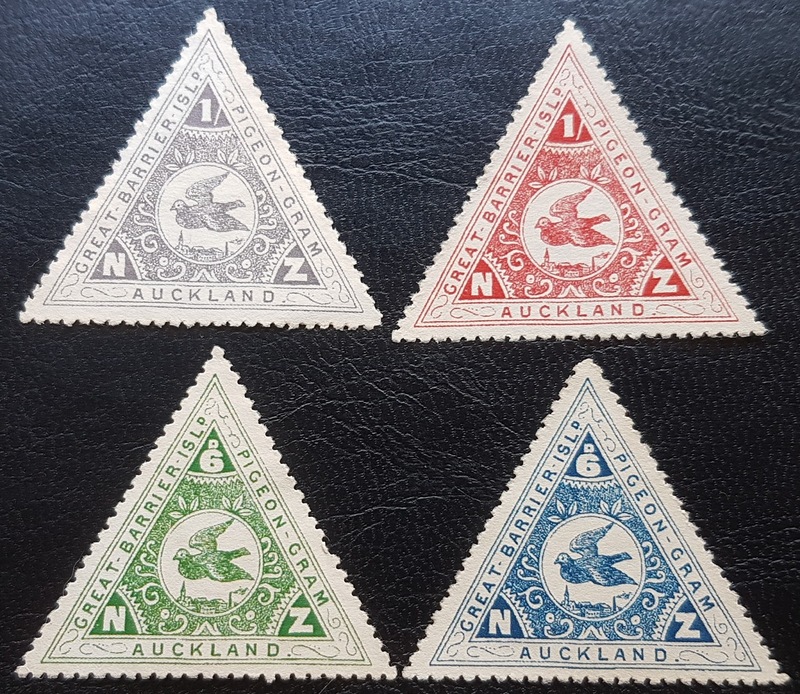 Anyone who has seen the Great Barrier Pigeon Post will know that in 1899 the Great Barrier Pigeongram Agency produced two triangular stamps for their mail service with a 6d Blue for mail from the island to Auckland and a 1/- Red for mail from Auckland to the island. There were never any 1/- light purple or 6d green stamps. Again four backs in perfect condition. The perforations were too perfect for this period too. It's getting 'better' as we continue. Look at these! 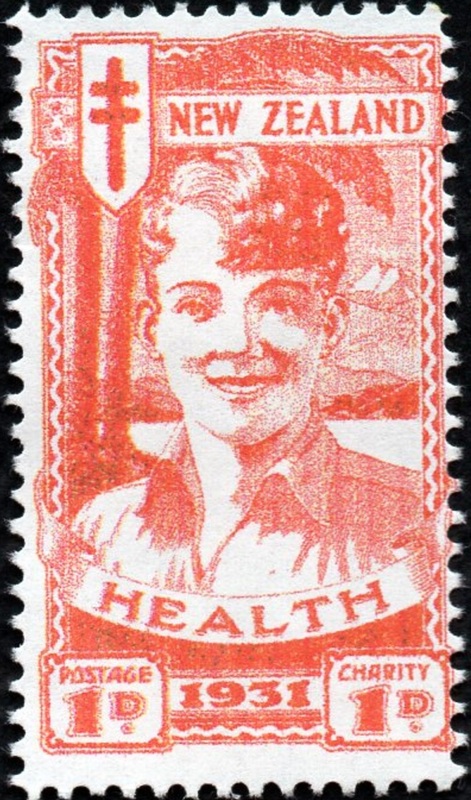 1931 Health Issue had two values known as the 1d Red Boy and the 2d Blue Boy. There were never a 3d Brown Boy and a 9d Olive Boy. 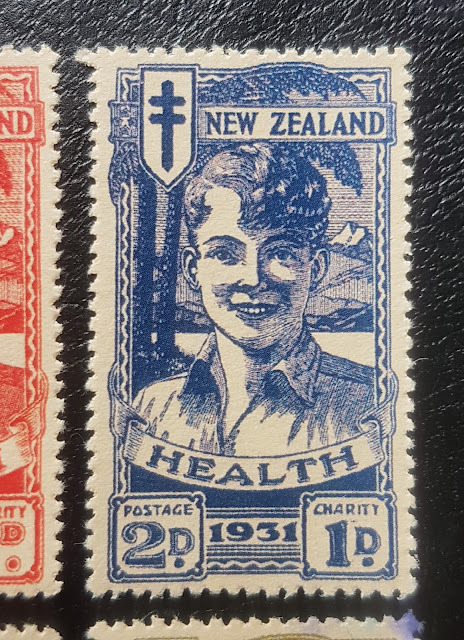 9d plus 3d charity, I'm not sure many people in 1931, during the Great Depression, would want to pay 1/- (one shilling) for a health stamp. 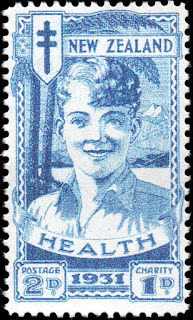 Now, let's have a closer look at the 1931 Blue Boy. I paid 175 euro good learning lessons, I will pen mark as fakes, I don't want them to pass on to others. This is what I get from Stampboard below. Taiwanese seller (eBay) Scott Visnjic. 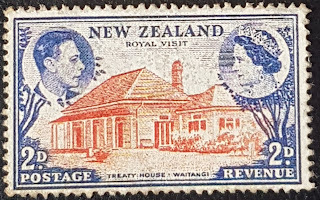 He makes all kind of fantasy stamps as well as forgeries of real ones - from King Edward VIII stamps, Malta telegraphs, Western Australia Court Fees, fictional countries like 'Imperial Coldland' etc. How did I miss that information? He is selling on eBay. 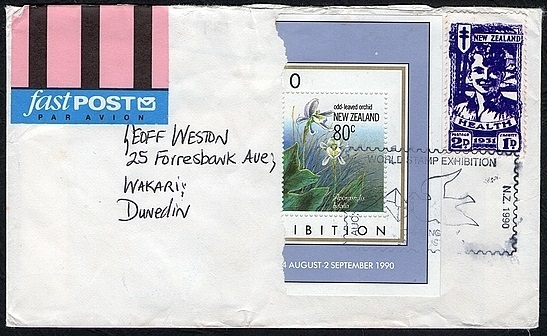 Yes, you should feature his stamps so others can beware of them.perforation is very important here too. First off, I want to thank our reader who has allowed us to create this page. He could have hidden these stamps away or even destroyed them rather than admitting his mistake in public like this. I admire his desire to tell others so they won't be caught by the same trap. Asami has done a good job of this page but we feel it should be finished with a warning about buying stamps off sites like eBay. 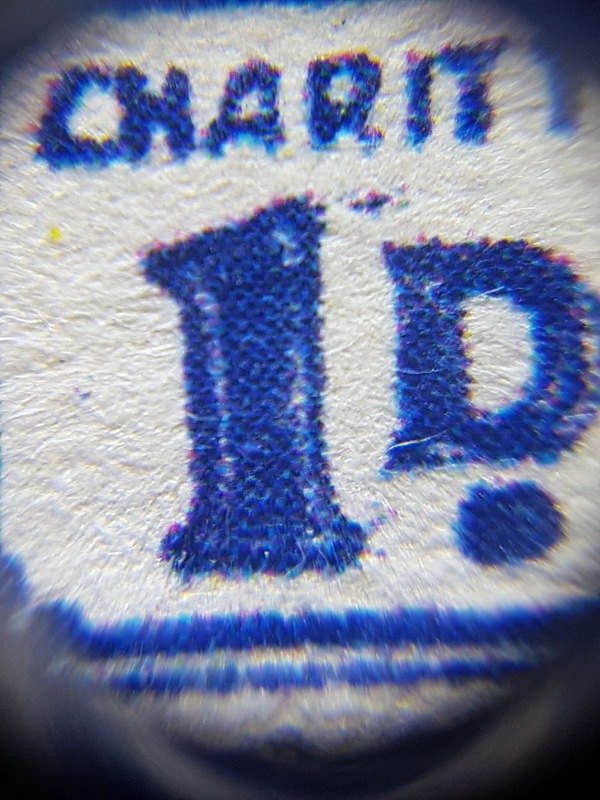 First, be very careful if the stamp offered is rare or higher in price. 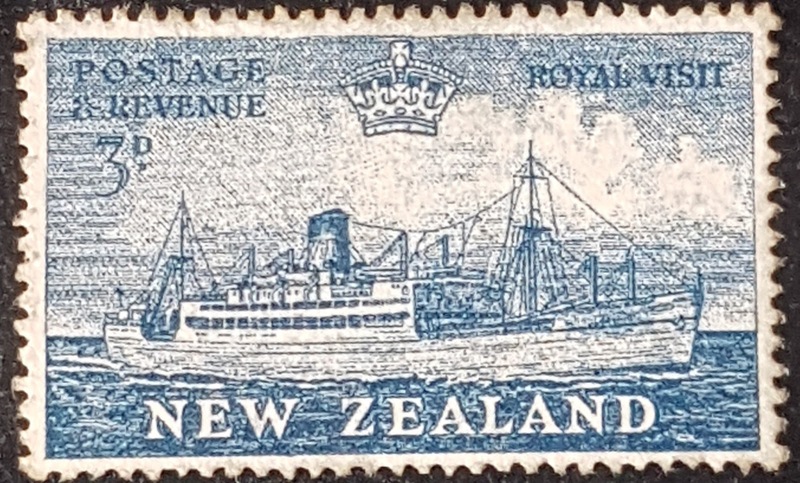 One would expect stamps such as these would fetch better prices by being offered at auction. So why has this seller offering them at a much cheaper price on a trading site? Second, do some research on the stamps. A simple catalogue will tell you that there were only 2 1931 Health Stamps, the blue boy and the red boy. Third, get the stamps checked by an expert before you purchase. 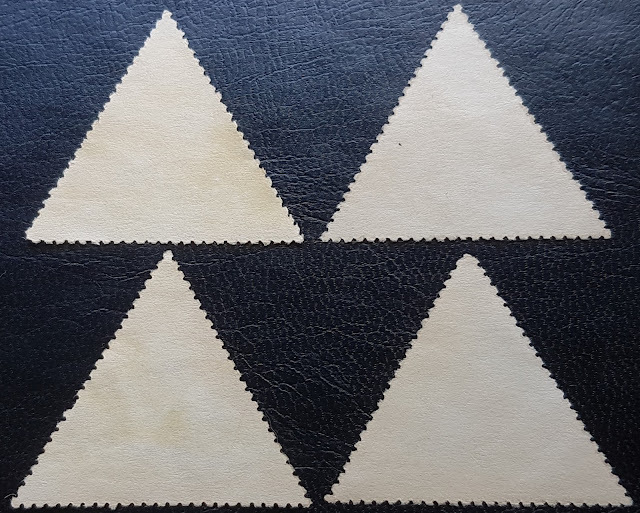 While these forgeries were fairly easy to spot once you know what to look for, there are others that are a lot harder to spot. Now, this passing them off as 'fantasy stamps' is great if they are actually fictional stamps but those shown on the page above are copies of rare stamps which in my book makes them forgeries. Our reader is marking then as 'fakes' which is good as they will not become confused as real ones in the future. I would do the same if I added any to my collection too. But now I wonder just how many of these are floating around the internet, waiting to be purchased by unsuspecting buyers. This is a good post. I am surprised that people are making stamps like this. Even more so that others are buying them. 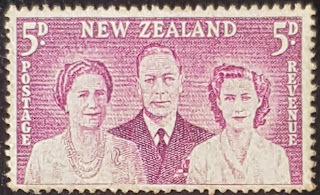 The stamp you have identified as the 1949 6d Crown & Scepter is not that stamp. 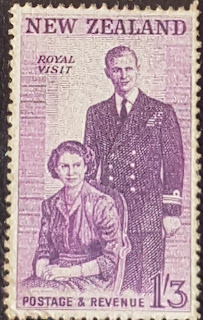 The original, according to your page on this issue, carries the date '1949' after the words at the bottom 'Royal Visit' The stamp here does not have that date. It appears the guy who created these fakes left it off. It was interesting how we received an email from Allan (the owner of this blog) saying that the 1949 6d Crown & Scepter is not carrying a date. We were sitting down to add this fact to this page when your comment arrived say much the same. We have mentioned this in the page above now, plus doing a few other changes and improvements. We have also added some more to Allan's comment at the bottom as he asked. I consider this page finished for the moment. Very Good work Asami .Hope this blog can save other people time and money from buying these forgeries. I ran a goggle search and quickly found some of the stamps featured here. They were in eBay.